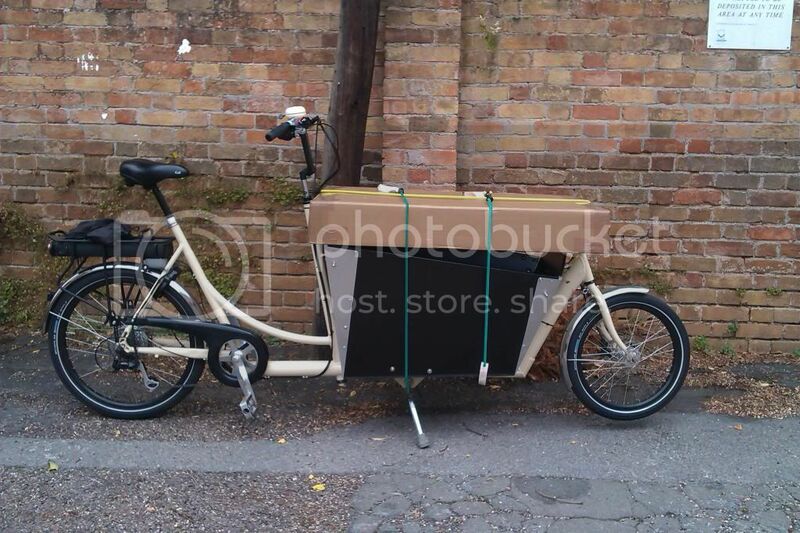 A bit of a long shot, as I’m not in London or Bristol, but I’m soon going to be selling my two-wheeled, electric assist, Christiania bike. I’m based in Tiverton, Devon. It’s a bout 4 years old and has served us very well. No problems at all to speak of. It’s been well looked after as it’s been our family transport for out two boys for that time. It has seat-belts for two children and I’ve also got the rain cover. Since this photo was taken I’ve added a Busch& Muller front light which is wired to the battery (same as rear light) and it’s had a new saddle. I’ll get round to doing a proper for sale thread soon but thought I’d give this a go first. And I’ve got more photos if anyone would like to see them.